According to figures reported to Equibase, a total of $3,010,221 was wagered on The Downs' 104 live races from September 6-16, compared to $2,427,891 bet on 103 live races during the 2017 State Fair meet. On-track handle rose 7 percent to $637,030, compared to $595,655 in 2017, and off-track handle increased 24 percent to $2,373,191, compared to $1,832,236 a year ago. Live racing resumes at Albuquerque Downs with a nine-race program on Wednesday, beginning at 6:05 p.m. (MDT). 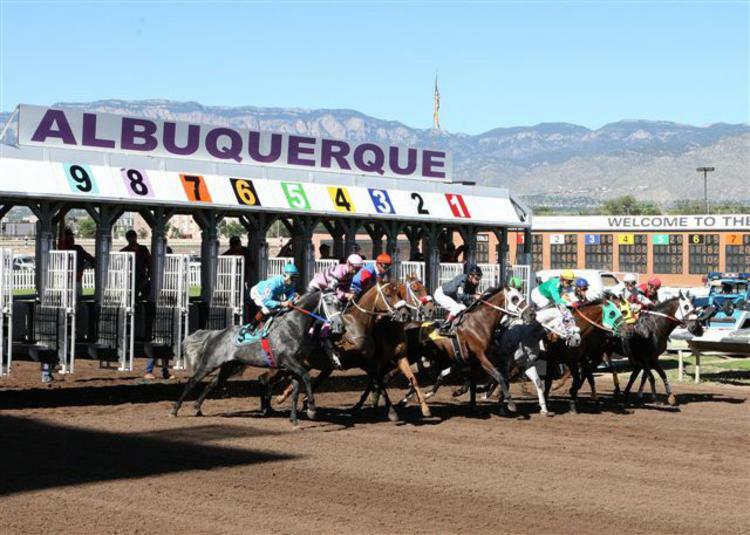 The track closes its 55-day season with a 10-race program on Sunday, September 23, featuring five stakes, topped by the 440-yard, $300,000 Albuquerque Fall Quarter Horse Championship (G1), and New Mexico's longest horse race, the 1 13/16-mile, $25,000 Con Jackson Claiming Stakes. This entry was posted in The Biz and tagged albuquerque, albuquerque downs, handle, handle increase, Horse Racing, new mexico, quarter horse, thoroughbred by Press Release. Bookmark the permalink.